This post is sponsored on behalf of #appleweek. Our generous sponsors, Swiss Diamond, Envy Apples, Imperial Sugar, Nordic Ware, Rodelle Vanilla, Flahavan’s Irish Oatmeal, Nairn’s and The Spice House have provided us with products for recipe creation and a giveaway for our readers. As always, all opinions are my own. My name is Nichole and I make (legal) moonshine. Every summer my mom has a big party at her house where we invite the entire family, bring and eat way too much food and hang out by the pool. A while back, my mom, aunt and I were sitting out by the pool talking about what we should have for the party. Somehow we got on the topic of creamsicle. Do you remember those ice cream bars? One of my earliest memories was being about three years old and sitting on the front porch with my mom and our neighbor as the sun went down, eating a creamsicle ice cream bar and trying to catch the sticky sweetness as it ran down my fingers. Why did they ever stop making those? Anyway, I found a recipe for creamsicle cupcakes and I knew that was 100% going to happen, but then I also came across a recipe for creamsicle moonshine. I made the creamsicle moonshine and it was incredible. Like one of those drinks that just sneaks right up on ya and you have no idea that you’ve had too much until you go to stand up. And then I was maybe kind of hooked on the idea of making other flavors of moonshine. When I signed up for this event I didn’t have a plan to make moonshine, but the idea just kept popping up in my head over and over again. So I messed around with some ingredients and this baby was born. 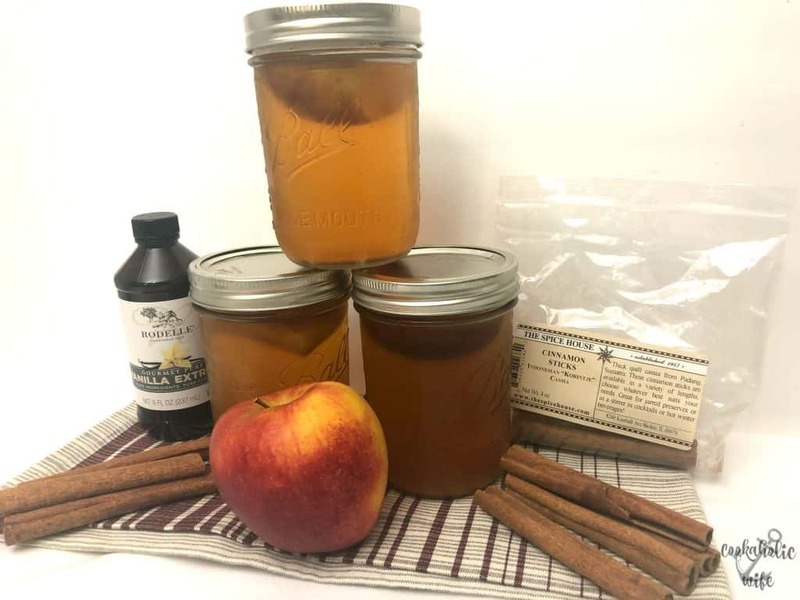 Everclear (or other grain alcohol) is combined with apple cider, juice, apples, sugar and spices to make a homemade apple pie moonshine that will knock your socks off! In a large pot, combine the apple cider, apple juice, sugar, brown sugar, cinnamon sticks and vanilla. Bring to a boil, stirring constantly until the sugar has dissolved. Reduce to a simmer and then allow to simmer for 1 hour. Let cool completely. Remove the pot from the stove and pour in the Everclear, stirring to combine. Discard the cinnamon sticks. Place an apple wedge into each mason jar. Pour the moonshine into a measuring cup with a spout and fill each mason jar to the rim. Seal and refrigerate until cold. Everclear and other grain alcohols are very flamable. Ensure there is no heat source before adding! The cook time in this recipe does not include time for the mixture to cool. Moonshine will keep in the fridge for 3-4 weeks. This recipe contains alcohol and is intended for individuals 21 years of age or older. Please drink responsibly. Now, this apple pie moonshine is must stronger than it’s creamsicle sister. I made a last minute decision to add the apple wedge because I wanted something to make it really feel like it was part of an appleweek event, and if they can add a worm to tequila, why can’t I add an apple wedge to moonshine? Disclaimer: This recipe is intended for persons 21 years of age and over. Please drink responsibly. 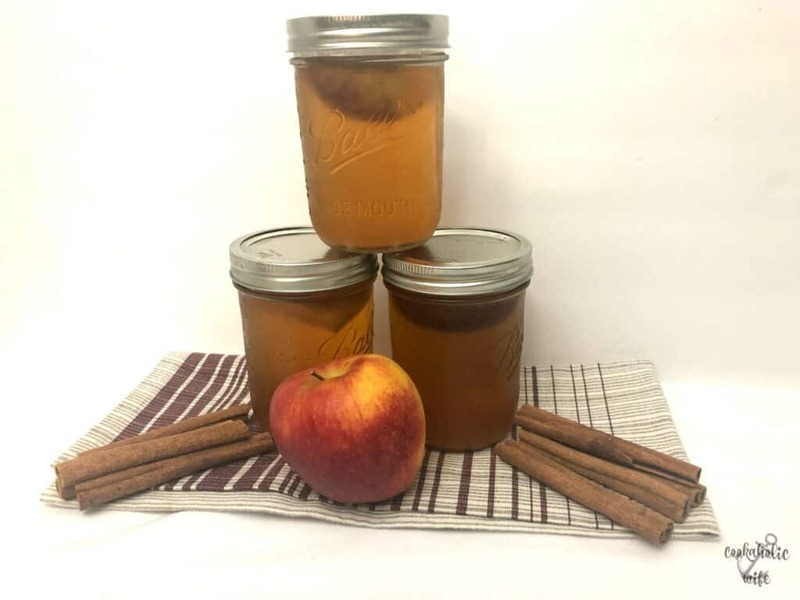 Our very generous Appleweek sponsors made this recipe possible with their awesome samples. Imperial Sugar and Envy Apples also made this recipe possible. These are two of the most generous sponsors I have ever worked with and I absolutely love them and their products. Don’t forget to enter the giveaway! While it will remain open this weekend and other bloggers will be sharing recipes with you, this is my last recipe for appleweek and I’d really hate you to miss out on the opportunity to win such an amazing prize! Disclaimer: Thank you AppleWeek Sponsors: Swiss Diamond, Nordic Ware, Envy Apples, Imperial Sugar, The Spice House, Rodelle Vanilla, Flahavan’s Irish Oats and Nairn’s for providing the prizes free of charge. These companies also provided the bloggers with samples and product to use for AppleWeek recipes. All opinions are my own. The AppleWeek giveaway is open to U.S. residents, age 18 & up. All entries for the winner will be checked and verified. By entering you give the right to use your name and likeness. The number of entries received determines the odds of winning. Seven (7) winners will be selected. The prize packages will be sent directly from the giveaway sponsors. The AppleWeek Bloggers are not responsible for the fulfillment or delivery of the prize packages. Bloggers hosting this giveaway and their immediate family members in their household cannot enter or win the giveaway. No purchase necessary. Void where prohibited by law. This promotion is in no way sponsored, endorsed or administered by, or associated with Facebook, Instagram, Pinterest, Twitter or any other social channel mentioned in the AppleWeek posts or entry. This is a fantastic website, thank you for the detailed recipe. 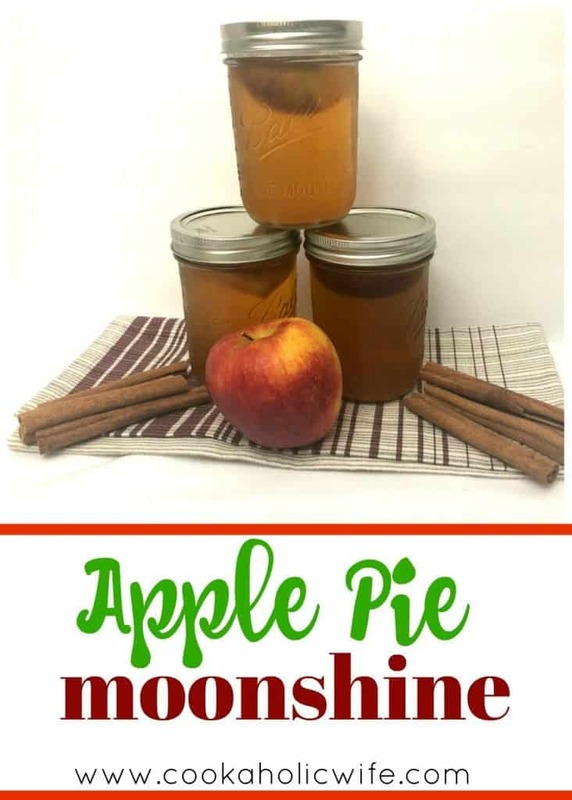 I love making my own moonshine, I will try this recipe and let you know how I get on.